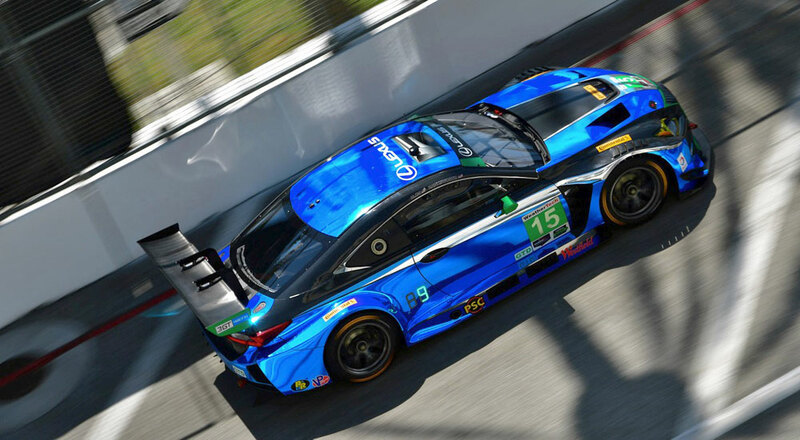 The two Lexus RC F GT3 teams from 3GT Racing will be at Raceway at Belle Isle in ￼Detroit, Michigan this weekend, participating in the WeatherTech SportsCar Championship race on Saturday. Scott Pruett & Sage Karam will be in the No.14 RC F GT3 for the race, with Robert Alon & Jack Hawksworth piloting the No.15 RC F GT3. Qualifying happens today, with the race taking place at 12:30pm ET on Saturday. Live coverage of the race will be on the Fox Sports network.